NHI Founder and President Ernesto Nieto, starting in a New Year’s Eve tradition of naming an NHI Person of the Year, has selected Alexandria Ocasio-Cortez as NHI’s 2017 Person of the Year—primarily for what she’s seeking to do in 2018. 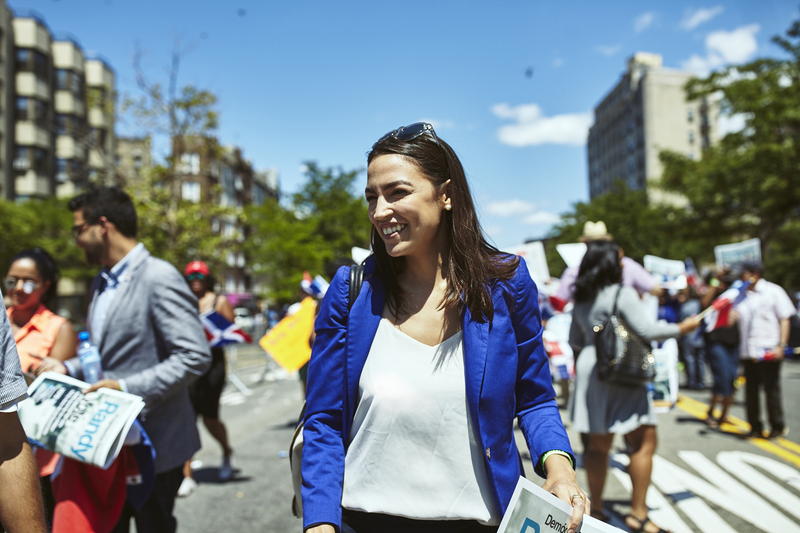 Ocasio-Cortez continues in her quest to represent New York’s 14th District, encompassing her native Bronx as well as Queens. She is challenging an incumbent Congressman with a bold, innovative campaign seeking to engage citizens who have been forgotten and dismissed by political “experts,” providing real leadership that will better her community regardless of the election results. Ocasio-Cortez is accustomed to beating the odds and forging forward with determination. She was tutored well by her father throughout her early years, and kept close company with her mother, grandmother, and younger brother. At just 17, her father suddenly became ill and died, but bearing the burden of that heavy and personal loss, she enrolled at Boston University, completed her program in four years, and graduated fourth in her class. As a high school student, she participated in the NHI Lorenzo de Zavala Youth Legislative Session and became intensely involved in the organization’s work, going on to serve as an LDZ Secretary of State and a John F. Lopez Intern while in college. Despite the current demands of her campaign, she still makes time for NHI, most recently serving as Educational Director for the 2017 Northeast Collegiate World Series and participating in the panel on the future of Latino leadership that stood out as a highlight of Celebración 2017. Ocasio-Cortez is the second to receive the relatively new honor; Humberto Saenz was the inaugural honoree.